Bangor University has had an Environmental Management System (EMS) in place since 2009 in line with and reaching level 5 of the Green Dragon scheme. As a part of its commitment to further development the university asked CICS (now known as Lucideon) to externally verify its EMS to the internationally recognised standard ISO 14001 in line with best practice. Lucideon assessed the university’s Environmental Management System which covers a range of buildings over a number of campus locations. The certification process consisted of a pre-assessment followed by stage 1 and 2 assessments. The assessments review systems in place, raise non-conformities and give recommendations for improvement which will help to eventually achieve certification. Thanks to its work in the Green Dragon scheme Bangor University was well on its way to certification. The university has now become one of the first universities to have its EMS certified to ISO 14001. Having its EMS externally certified gives the university the re-assurance that its data is accurate and reliable it will also help to bring about cost savings through improved performance and efficiency, through the systematic approach this international standard demands. Sustainability is now higher on students’ agendas when looking at universities and students expect an environmentally conscientious campus. Certification to ISO 14001 demonstrates this and can give a big boost to a university’s reputation, including recognition from green leagues and sustainability awards. 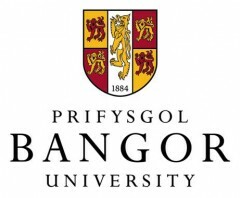 “During the initial assessment process Bangor University demonstrated that they had established and implemented an EMS capable of achieving their policy commitments, objectives and operational needs. “The EMS had been established for a number of years as part of the Green Dragon Scheme. This has significantly assisted the University in establishing an EMS, addressing the requirements of ISO 14001:2004.